Sara O’Donnell, has recently been appointed Attorney General (Designate), and will succeed Angelo Berbotto upon his departure in January 2018. 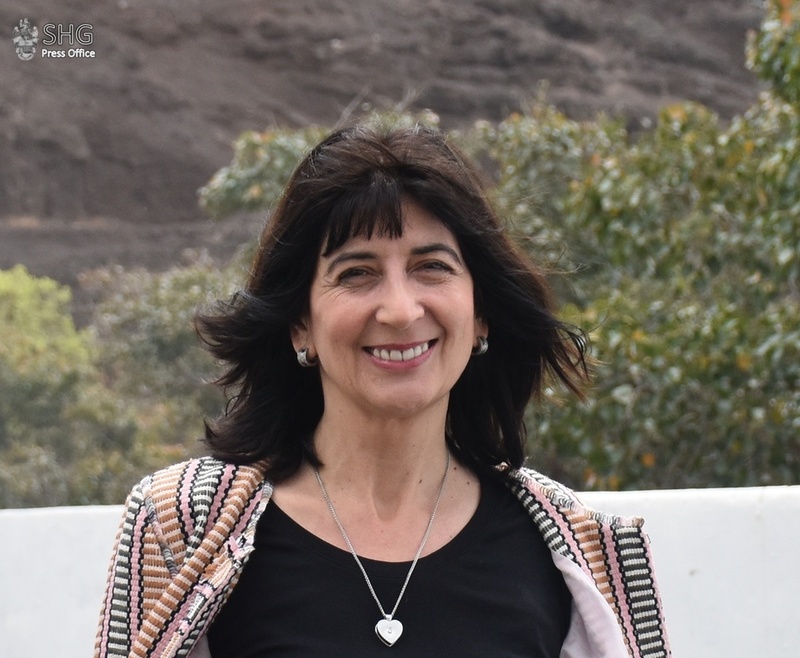 Sara was initially recruited as Public Solicitor for St Helena, and worked in this role for over three weeks, before she was successful in the Attorney General’s recruitment exercise. Before coming to St Helena, Sara previously worked as a Senior Crown Counsel in the Attorney General’s Chambers of Jersey. “As Attorney General (Designate) I shall be gradually taking over the duties and responsibilities of the Attorney General. As the current Attorney General is still in post and will be here until the end of January, I am being afforded an ideal opportunity to familiarise myself with the role and to benefit from Angelo’s vast experience and sound counsel. This will make the transition as smooth and efficient as possible and therefore there should be little or no disruption to the delivery of legal services to the Government or to the running of Chambers. Sara was called to the English bar in 1985 and practised first as a self-employed barrister in Chambers and then in commercial litigation at a city firm of solicitors. She then joined the Crown Prosecution Service (CPS), working in the Special Casework Unit in some of the most complex and sensitive cases. During her time at the CPS she became a national trainer and sat on various committees set up to consider and advise on proposed government policy including how to deal with mentally disordered offenders within the criminal justice system. In 2002, Sara relocated to Jersey and worked initially in the Constitutional, Human Rights and European Law Department. She was involved with advising the States of Jersey Government on various matters including the impact of proposed legislation. Sara was responsible for drafting the instructions for the Extradition Law for Jersey which had before that time relied on England to deal with any extradition matters.